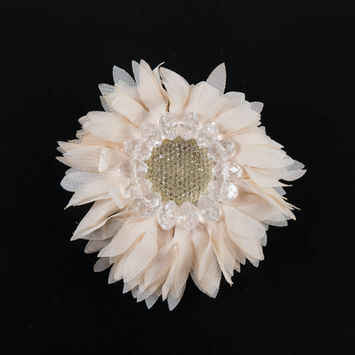 Brooches have a long standing history in the world of fashion. 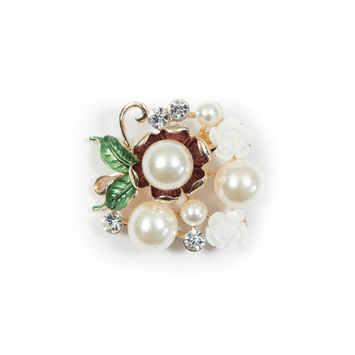 Originally used simply to hold clothes together, brooches eventually evolved into fashionable pendants and souvenirs. 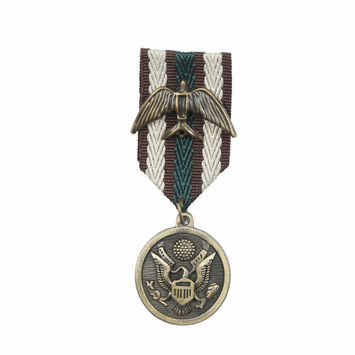 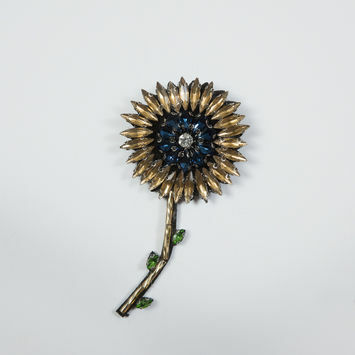 Brooches were often used as mementos, given to loved ones before they left for war. 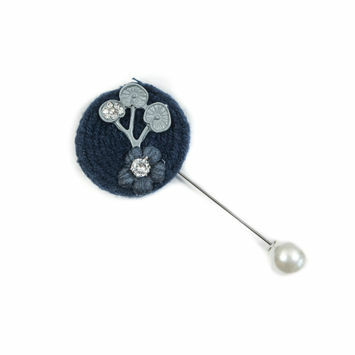 Queen Victoria was a big proponent of the brooch, wearing one for over 20 years to commemorate the loss of her husband, Prince Albert. 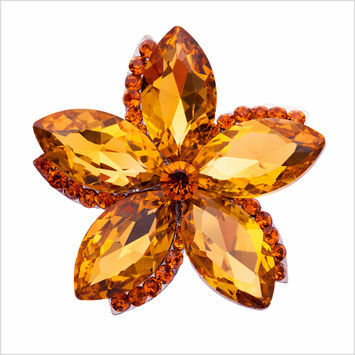 Brooches come in a variety of forms, from rhinestone brooches to wedding brooches. 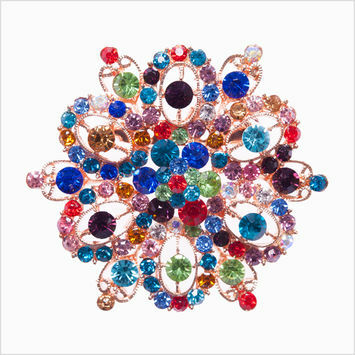 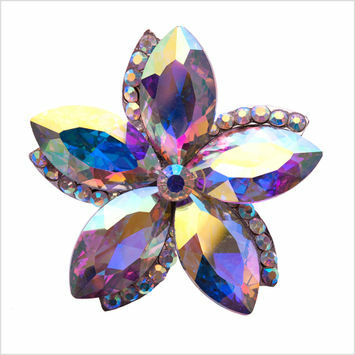 Many brooches have floral designs, with gemstones attached to the pin. 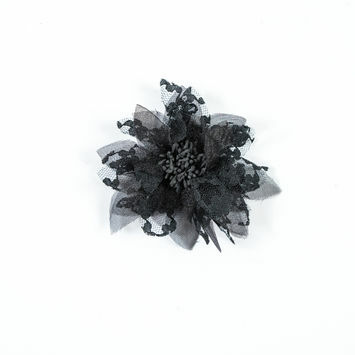 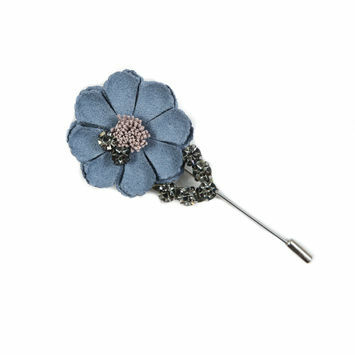 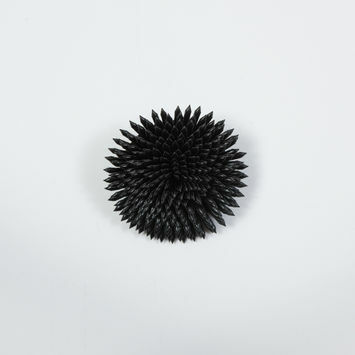 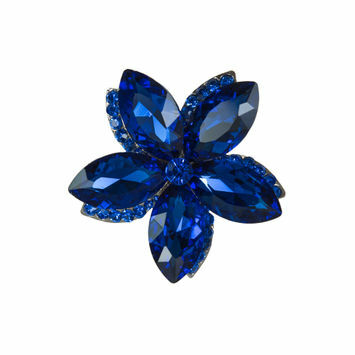 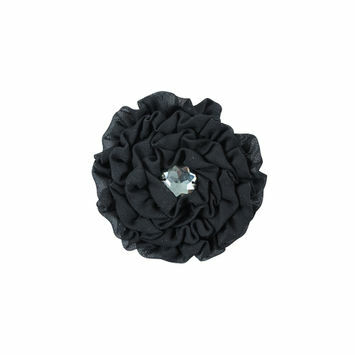 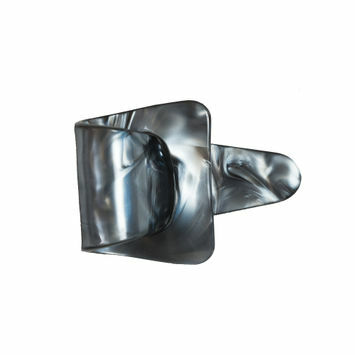 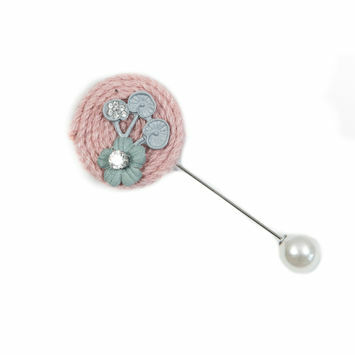 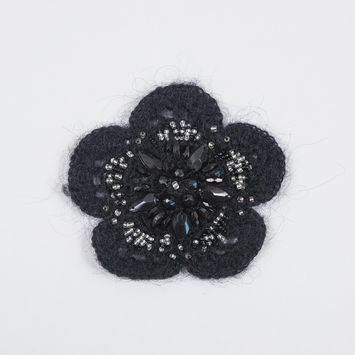 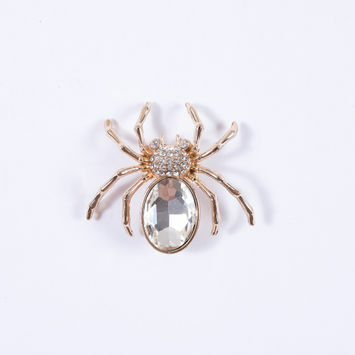 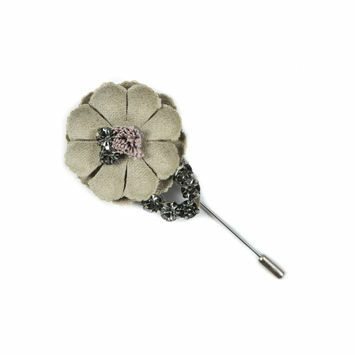 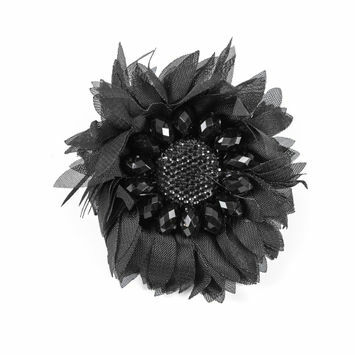 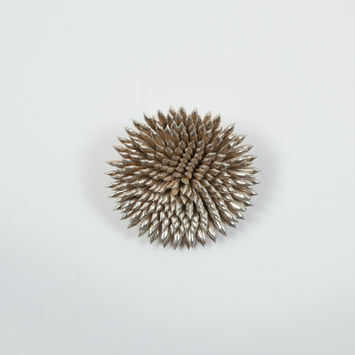 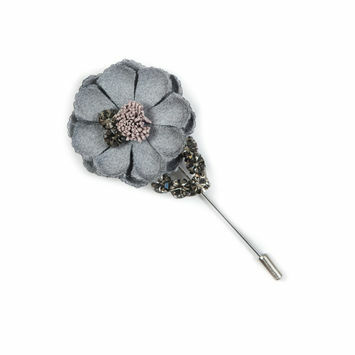 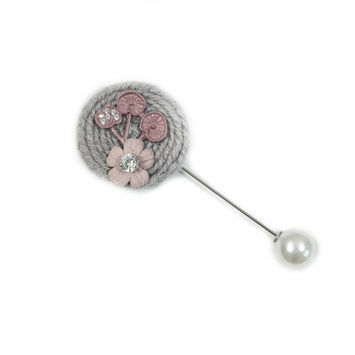 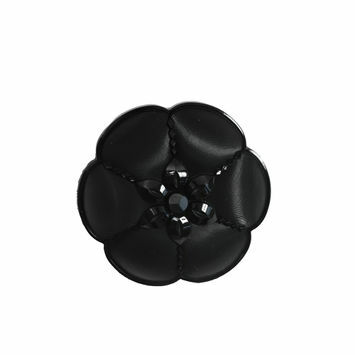 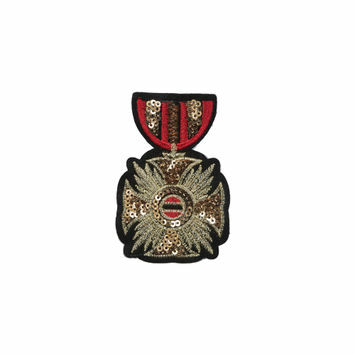 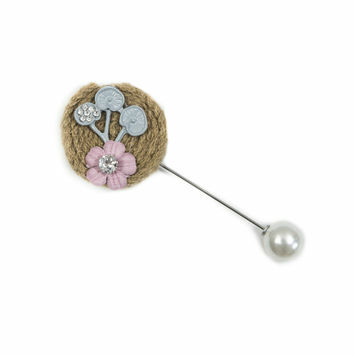 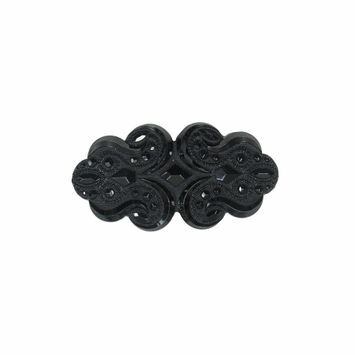 Mood's selection of brooches are perfect for pinning garments and embellishing style. 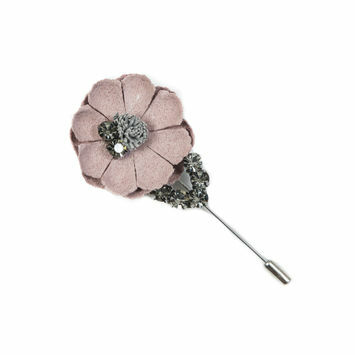 Italian Black Etched Brooch - 2.25" x 1"
Italian Gray and Pink Brooch with Pearl Closure - 3.5"
Italian Green Flower Brooch with Rhinestones - 3.75"
Italian Pink Flower Brooch with Rhinestones - 3.75"
Italian Gray Flower Brooch with Rhinestones - 3.75"
Italian Blue Flower Brooch with Rhinestones - 3.75"
Italian Navy Brooch with Pearl Closure - 3.5"
Italian Green and Gray Brooch with Pearl Closure - 3.5"
Italian Pink and Gray Brooch with Pearl Closure - 3.5"
Italian Pearl and Rhinestone Brooch - 1.5"
Italian Gold Faux Leather Flower Brooch- 2"
Italian Black Faux Leather Flower Brooch - 2"
Italian Gold and Navy Rhinestone Flower Brooch - 4" x 2.25"
Italian Small Red Metallic Gold Shield Pin - 3.25" x 1.5"
Italian Gold, Brown and Green Military Pin - 3" x 1"
Italian Metallic Gray Marbled Buckle Brooch - 2.5"
Italian Black Nylon Flower Brooch - 2"
Black Knit Beaded Flower Brooch - 4"
Black Organza and Lace Flower Pin - 4" x 4"
Black Ruffle Chiffon Brooch - 4"
Spider Rhinestone Brooch - 2"x2"